I don’t know what to say. I never do after Colin’s nightmares. In the immediate wake of violence so close to home, nightmares feel logical. Families were torn apart; why couldn’t that happen to us? I’ve learned to try not to try to get inside Colin’s head. It’s too painful. Now, I imagine the trauma center of his brain is amplifying everything, mixing the 2013 Boston Marathon with the war in Afghanistan with his childhood in Durham, CT.
He’s five years old, and his bedroom walls are lit with red and blue flashing lights; he’s learning his father is dead. He’s driving a Humvee that suddenly explodes, engulfing the gunner, Colin’s friend, in flames. Now, he’s hugging his lover, trying desperately to keep me from being ripped away. He’s in Afghanistan, watching the young boy run into the street to cheer for the American convoy. He’s hovering, omniscient, over the marathon finish line, watching the young boy cheer on his father. A part of me wants to be in all those places with Colin, to stand beside him while his world implodes, to let him hold my hand or cry into my shoulder, even though I know he won’t cry. A part of me wants to stay right here in this bed forever, boyfriend on one side, cat on the other, and drift back into a dreamless sleep so my mind can be at peace. But I’m too tangled in my own memories. Not as sharp or jarring, but ever-present. That street corner in Gardez, Afghanistan—my first time leaving my small military compound, scanning a million spots where the suicide bombers might have stood before detonation five days before. Diving unwittingly into the investigation photos from another incident: The woman on my computer screen was younger than me. She was pregnant. And she had three bullet holes in her chest. Those things were tragic, and painful, but they were there. That was where violence was supposed to stay. Lauren K. Johnson is an Afghanistan veteran and former military public affairs officer. 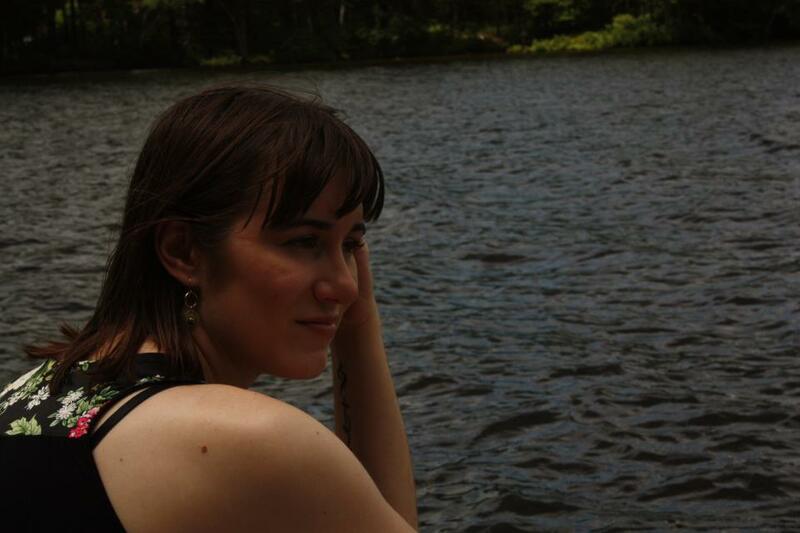 She lives in Boston, where she is earning her MFA in nonfiction writing at Emerson College and is the Editor-in-Chief of Redivider literary journal. She blogs here.